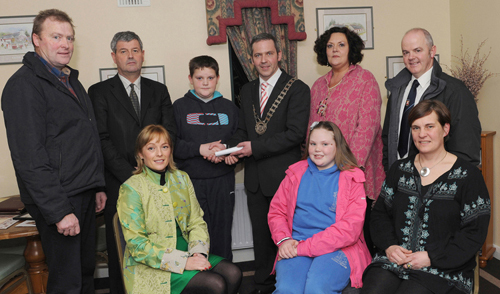 The Mayor and Members of Castlebar Town Council hosted a Civic Reception for the Castlebar Branch Comhaltas Ceoltoiri Eiireann to mark their success in the All Ireland Fleadh Michael Healy is Presented with Award by Ger Deere, Mayor.also in Photograph Patricia Healy, Seamus Granaghan Dir of Services, Marie Crowley, Town Clerk.Cllrs Threase Ruane,and Blackie Gavin. Photo Tom campbell. 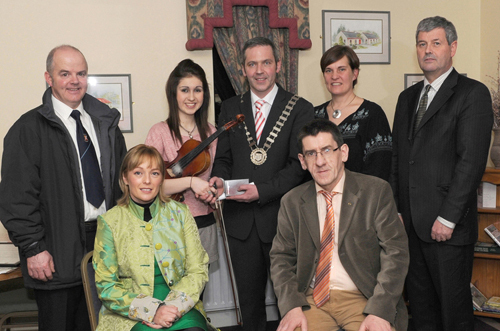 The Mayor and Members of Castlebar Town Council hosted a Civic Reception for the Castlebar Branch Comhaltas Ceoltoiri Eiireann to mark their success in the All Ireland Fleadh. 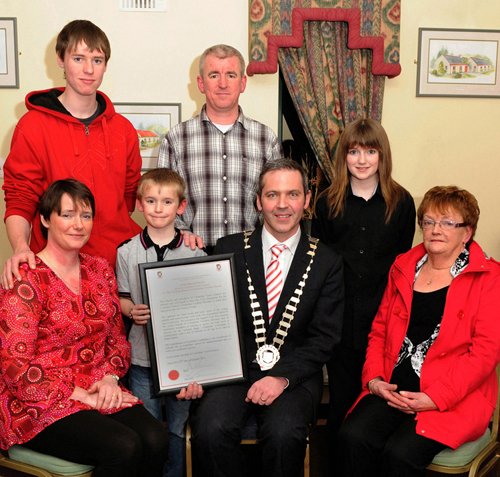 Members of the Kilkenny Family Photographed with Ger Deere Town Mayor John, Cathy, Niall, Caoimbe, Cian and Eileen Mulroy. John and the Rolling Waves Band, were the All Ireland Winners 2010 at the Fleadh in Cavan. Photo Tom Campbell. 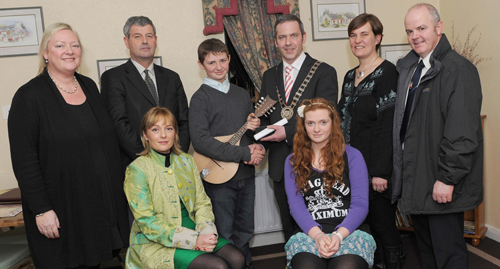 The Mayor and Members of Castlebar Town Council hosted a Civic Reception for the Castlebar Branch Comhaltas Ceoltoiri Eiireann to mark their success in the All Ireland Fleadh Caoimhe Kilkenny is presented with award by Ger Deere, Town Mayor,Marie Crowley,Town Clerk,Seamus Granaghan,Dir.of Services, John and Cathy Kilkenny,,Cllrs Threase Ruane and Blackie Gavin. Photo Tom Campbell.